Check out where to find each of the ski lodge locations needed to complete the Fortnite season 7 week 3 challenge. The latest Fortnite season 7 week 3 challenges offer a new batch of tasks for players to complete in order to unlock XP and progress through the battle pass. One of the more difficult challenges asks players to search between three ski lodges. 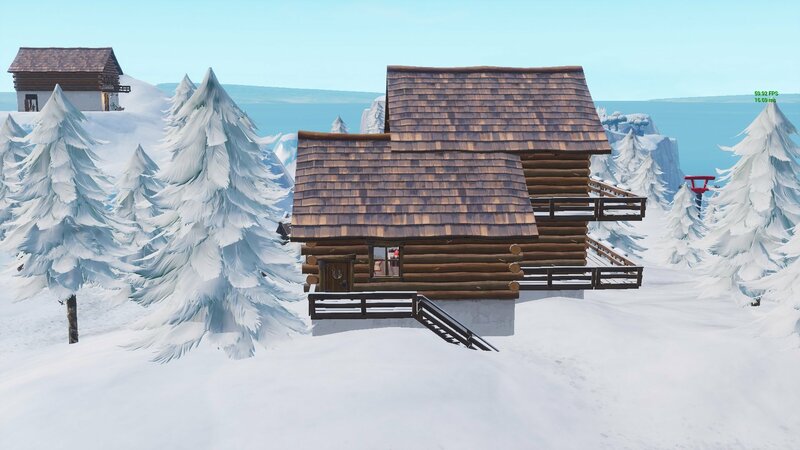 There are several different cabin and lodge-like buildings spread throughout the battle royale map, but this challenge refers to a specific set of buildings located in the iceberg biome. The three ski lodge locations that must be found in order to complete the Fortnite season 7 week 3 challenge can all be found in the Iceberg biome. Head south of Polar Peak, the former home of the Infinity Blade, and you should come upon a ski lodge nestled among some snow-covered trees. The other two lodges nearby form an isosceles triangle on your map. The battle star can be found on the patch of dirt that the Zenith skin is standing on in the image above. Be aware that you'll have to be standing extremely close to the battle star for it to appear. Once it has been found, interact with it to finish the challenge. After the whole affair has been wrapped up, this challenge alone will grant you 10 stars towards your battle pass progression. That’s enough to bump you up an entire tier, regardless of where you were at before the challenge was completed. Also make sure you complete the current game after working through the challenge, as challenge progression will not be saved if a player quits the match before its natural conclusion. 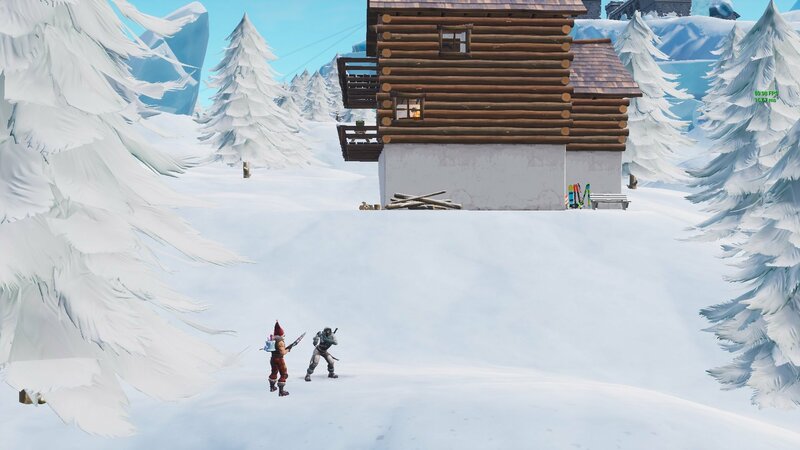 That’s where to search three ski lodges for the Fortnite Battle Royale Season 7 week 3 challenge. Now that you’ve finished, you’re one step closer to reaching tier 100 on the battle pass and unlocking the coveted Ice King skin. For more details on Fortnite's holiday season challenges, we suggest checking out our article on giant candy cane locations. Beyond that, bookmark the Shacknews’ Fortnite home page for more helpful battle royale guides.